If you’re into travel for the experience but want to be sure your adventure will not have a negative impact on the environment, then Costa Rica is the perfect place for you. Check out our sustainable options! Made for nature lovers who, in two weeks, want to get the most out of what the country offers in terms of its rich biodiversity. Go zip-lining and relax in the hot springs under Arenal Volcano. In Manuel Antonio, tour the national park where lush jungles meet warm, sunny beaches. Costa Rica has more to offer than beaches! You will experience the wonders of its mountains and countryside in this custom vacation package. Get up close with nature and have a real Costa Rican adventure while choosing responsible partners that respect the environment. Stay in three of the finest boutique hotels in the country and experience the natural riches of Costa Rica like you never have before. Explore some of Costa Rica's rarely seen natural wonders on this custom vacation package. 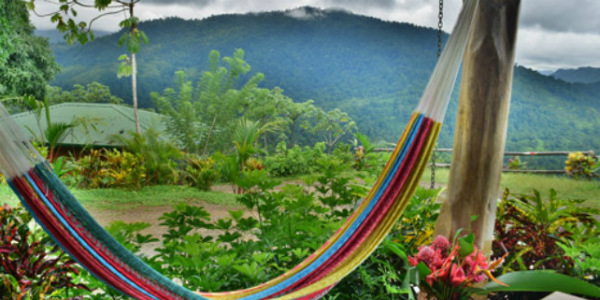 See some of Costa Rica's most beautiful spots in this vacation package that takes you to the country's best eco-lodges. For mountain and beach lovers, this packages offers two boutique hotels famed for their ecological practices in Manuel Antonio. Help protect the destinations you love with eco-sustainable travel in Costa Rica! Tourism is one of the largest and fastest growing industries in the world. Oftentimes the very things that attract the crowds–like biologically diverse habitats and indigenous cultures–are the things that are most affected by the influx of travelers. This “boom” of growth, especially in still developing areas, can place great strain on the local economy, environment and way of life. That is why sustainable tourism is so important: it helps protect the destinations we love, the cultures that attract us and tourism in general. Sustainable tourism has become a buzzword and it doesn’t always mean what people think it does. Nowadays with green- and eco-friendly everything making headlines, everyone is scrambling to prove that they’re doing it too. With many companies and industries jumping on the bandwagon it’s hard to know who to trust. Costa Rica has been a forerunner in sustainability and tourism from the start so it’s natural that this country would have a heads up on eco-friendly travel. 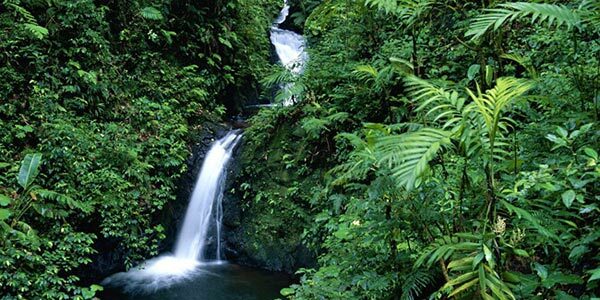 With only .03% of the world’s surface area, Costa Rica is home to over 5% of the world’s biodiversity. That means there is a lot at stake. Costa Rica has become an example for the world with nearly 30% of its land protected and for being the first country that has committed to becoming carbon neutral by 2021. In addition, over 90% of the electricity needed in the country is produced through renewable means like hydroelectric, geothermal and wind power. The government even offers incentives for eco-friendly practices, i.e. by buying back solar energy from users that have a surplus. Lucky for eco-conscious travelers there are plenty of opportunities to partake in the efforts. Between choosing eco-friendly hotels and carbon-neutral travel options you can make some green choices from the start. If you’re more focused on how your trip will affect locals, then you can choose cultural tours and activities that will have a positive impact like volunteering. Visiting national parks is a great way to enjoy some of Costa Rica’s beauty while being sure your money is going to support something like the national park system. If hands on is your style then be sure to include some time for volunteering. From rainforest reforestation to soup kitchens, there are plenty of ways to give back while you have the trip of a lifetime. When booking, ask what tours your eco-friendly hotel offers. Many will include on-site tours and cultural experiences that will enhance your trip.